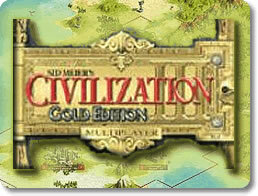 Civilization 3 Gold Edition Game - Download and Play Free Version! Raise Up An Empire to Dominate the World Through Military Might, Economic Power, or Supreme Cultural Influence! 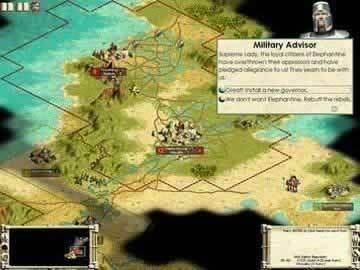 One of the Best Strategy Games Ever Made! Civilization III Gold Edition now includes Play the World Expansion Pack. 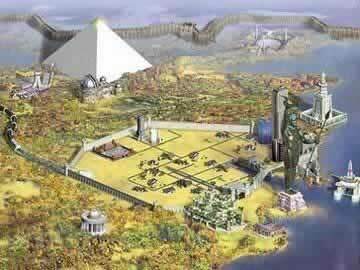 You get 8 new civilizations, 4 different online multiplayer game types, create your own scenarios, new units, new structures, new wonders, new animations, and an easier to use game interface! Rated Game of the Year by more gaming magazines then I care to list, this game goes down as one of the best of all time. You begin by choosing one of 16 different nations, each with its own special unit and societal strength (militarist, idustrial, scientific etc.). The nation you choose will affect the way you play the game as you seek to take advantage of its unique strengths. As you progress, you will have the advantage of trading with other civilizations, work out treaties, and go to war. You can win the game just as easily through cultural power and winning the space race. Defeating another nation can be difficult and a tremendous drain on your resources, just like real life.